Performers include: Kiefer Sutherland, Carlos Bernard, Mary Lynn Rajskub, Dennis Haysbert, James Morrison, Elisha Cuthbert, Reiko Aylesworth, Jude Ciccolella, Kim Raver, D.B. Woodside, Roger R. Cross, Roger R. Cross, Penny Johnson, Penny Johnson, Glenn Morshower, Louis Lombardi, Gregory Itzin, Sarah Clarke, Carlo Rota, Jayne Atkinson, Eric Balfour, Xander Berkeley, Bob Gunton, Sarah Wynter, Leslie Hope, Cherry Jones, Peter MacNicol, Annie Wersching, James Badge Dale, Colm Feore, Jean Smart, Jeffrey Nordling, Jeffrey Nordling, Marisol Nichols, Rhys Coiro, Janeane Garofalo, Paul Schulze, Zachary Quinto, William Devane, Daniel Bess, Michelle Forbes, Geoffrey Pierson, Marci Michelle, Arnold Vosloo, Zeljko Ivanek, and Adoni Maropis. This thriller series follows the exploits of Los Angeles Counter Terrorist Unit (CTU) Agent Jack Bauer (Kiefer Sutherland) as he tries to safeguard the nation from terrorist threats. Jack uses extreme methods often with great personal consequences. Each episode takes place essentially in real-time, with one episode filling one hour in a day in Jack’s life. Important characters include President David Palmer and his wife Sherry (Dennis Haysbert and Penny Johnson Jerald); Jack’s daughter, Kim Raver (Audrey Raines); CTU techies Chloe O’Brian (Mary Lynn Rajskub) and Edgar Stiles (Louis Lombardi); Vice-President Charles Logan and his wife Martha (Gregory Itzen and Jean Smart); and CTU agents Tony Almeida (Carlos Bernard), Michelle Dessler (Reiko Aylesworth), and Nina Myers (Sarah Clarke). As the world teeters on a terror plot of mass proportions, Jack and the team reunite one last time to avert an imminent international crisis. With little time left and the fate of the free world on the line, Jack is faced with an unthinkable and grave decision. First aired: July 14, 2014. What do you think? Do you like the 24 TV show? Would you like to see it return someday? I would love for the show to return. Loved it but disliked the way it ended. I still miss this show show ! it was and still is the best scripted and acted show even to this day ..Please Jack come back !!! I have been a fan since Day 1! Never missed an episode! Best show on tv ever! More, more, more,more!!!! In my opinion this TV show, can’t be stopped just like this. I aggree with above mentioned comments. Another season, at least, is required and show must go on… without a new long stop. 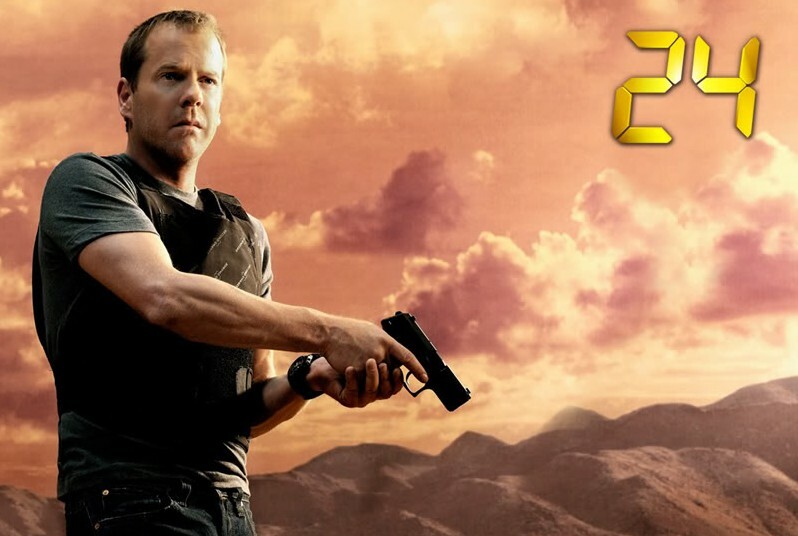 Now that the latest installment of 24 Live Another Day, I hope for another season. After all Chloe needs to get Jack back from the Russians as well as Det. Kate Morgan wants to redeem herself eventually!!! Kate will hear from Chloe about the trade-off Jack made with the Russians. She will help Chloe as an rogue agent & find away to set Jack free!!!! CHEERS to the best show on TV & may they start up another season!!!!!!!!!!!! !